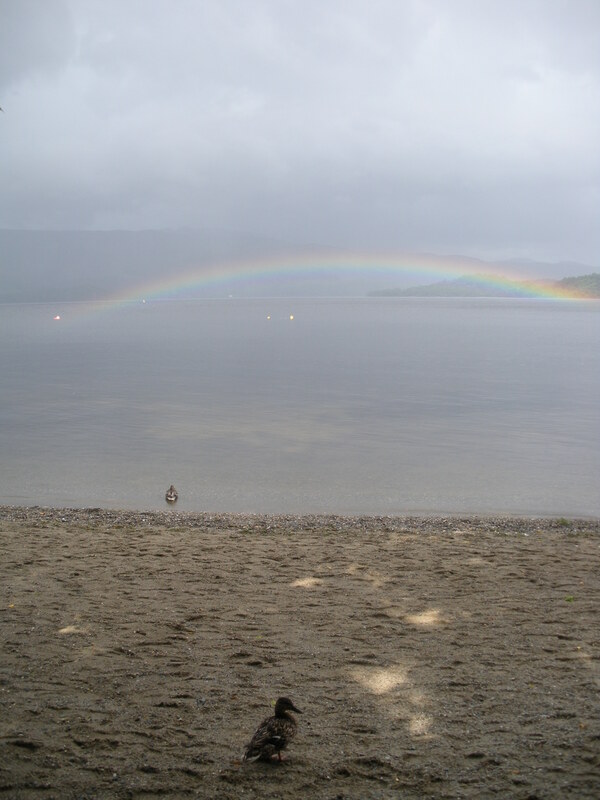 A duck and a rainbow at Loch Lomond. There’s a great post up on Nautilus summarizing research that drives home one of the key points of this blog: strong social relationships are fundamental to well-being (and thus, learning). Here’s some key tidbits. Do read the whole thing when you’ve got some time.
. . . ‘You are the most social animal on Earth, invest in your social relationships, it will be a form of happiness.’ ” It’s an answer that is so obvious that most people dismiss it.
. . . In 2009, the study’s longest-serving former director George Vaillant was asked by Joshua Wolf Shenk of The Atlantic what he considered the most important finding of the Grant study since its inception. “The only thing that really matters in life are your relations to other people,” he responded. Not only did strong personal relationships lead to better health outcomes, it affected the architecture of the brain. Piore, Adam. “What Technology Can’t Change About Happiness – Issue 28: 2050 – Nautilus.” Nautilus. N.p., 17 Sept. 2015. <http://nautil.us/issue/28/2050/what-technology-cant-change-about-happiness&gt;. For more on the importance of social relationships to learning, please check out Esther Quintero’s invaluable gathering of information on “the social side of education” over on Shanker Blog.